by Melinda Gross for Thrive Market Stress is nothing new. Even though our ancestors didn’t have to deal with a constant flow of work emails and social media–fueled feelings of FOMO, they still had plenty of their own challenges (predators, famines, infections). So while the sources of tension and fear have changed over time, the existence of stress—and the human body’s response to it—hasn’t. Ancient medical traditions like India’s Ayurveda and Traditional Chinese Medicine have long sung the praises of adaptogens—certain herbs that may help the body adapt to stress. Despite the long use of adaptogens in other cultures, they’re something of a new phenomenon in the U.S. as researchers are starting to look into claims that traditional healers have been making for a long time. Below, we’ll get you up to speed on adaptogens, what they’re believed to do, why they’re gaining popularity in the Western world, and how to incorporate them into your self-care routine. Adaptogens are a special class of plants (mostly herbs, though there are some exceptions) that, according to proponents, have a normalizing effect on the body. While that may sound vague, it’s precisely what makes them unique—they don’t serve a single function. The belief is that adaptogens may be able to adapt to whatever the body is dealing with (stress, anxiety, fatigue), and help alleviate or lessen the symptoms. By now, many of us are aware that stress—particularly when it becomes habitual—can really throw us out of whack. That’s because our bodies treat stress as a serious threat every time we feel it, initiating a series of behavioral and physiological changes to help address the danger—either through confrontation or by making a run for it! Stress hormones like cortisol are regulated by the hypothalamic-pituitary-adrenal (HPA) axis, an important network of glands that play a central role in the endocrine system. When constantly activated, the HPA axis can easily get off balance and tax the adrenals, making us more susceptible to experience anxiety and get certain illnesses. The good news is that adaptogens are thought to help the body handle stress more efficiently, working along the HPA axis to regulate the stress response. The same study noted adaptogens help “increase endurance and attention in situations of decreased performance caused by fatigue.” In other words, whether you’re feeling high-strung and frazzled, or, conversely, overwhelmed and lethargic, adaptogens appear to help. In fact, there are several recent studies suggesting that adaptogens may help positively impact the immune system and improve cognition. There are more than a dozen herbs that are considered adaptogenic—here are a few of the most popular. 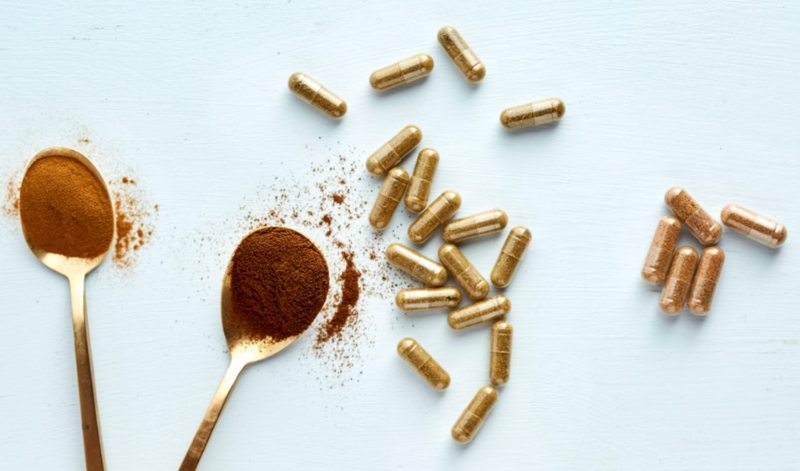 If you’re interested in adding adaptogens to your natural stress management arsenal, this list would be a good place to start. Central to Ayurveda, Ashwagandha shows promise as a stress relief aid and appears to support the immune system. Astragalus is common to many Traditional Chinese Medicine herbal formulations because it is believed to improve longevity. Studies suggest that it may have anti-inflammatory properties. As evidenced by its name, Holy Basil is considered sacred in India. Studies suggest this herb may promote enhanced cognition and support a healthy response to stress. Commonly used in Traditional Chinese Medicine, Rhodiola appears to reduce inflammation, fight stress-induced fatigue, and help with overall stress management, according to recent research.